Cricket Wireless today announced the pending availability of the Nokia Lumia 1320. The device, which Nokia announced last year, has a 6-inch 720p display with Nokia's ClearBlack technology and Corning Gorilla Glass 3 for protection. It is powered by a 1.7GHz dual-core Snapdragon 400 processor with 1GB of RAM and 8GB of internal storage. The 1320 also has a 5-megapixel main camera and a VGA user-facing camera; a large 3,400mAh battery; and Bluetooth 4.0, GPS, LTE, and Wi-Fi radios. The 1320 ships with Windows Phone 8.1, which includes the Cortana personal assistant and Nokia apps such as HERE Maps, StoryTeller, and Camera. The Nokia Lumia 1320 will cost $279, though Cricket is offering a $50 gift card to those who mail in a rebate. It goes on sale June 18. Cricket Wireless today announced it has added the Nokia Lumia 530 to its lineup of low-cost smartphones. The 530 is Nokia's entry-level smartphone, which includes a 4-inch display, 5-megapixel camera, quad-core processor, and Windows Phone 8.1 with Cortana. Cricket Wireless, which is owned by AT&T, today announced the availability of the Nokia Lumia 630 smartphone. 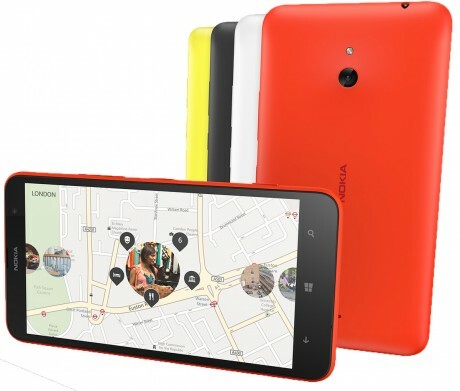 The 630, which is a variant of the Lumia 635 (being sold by T-Mobile and MetroPCS), will reach Cricket stores on July 11. Nokia phones are back on US carrier store shelves as of today. The Nokia 3.1 Plus goes on sale today with Cricket, and Verizon will start selling the Nokia 2 V on January 31st. They have the phones I want, I dont have to break the bank on them, and their service costs the same I pay TMO but actually gives me service around here? whats stopping me from switching? I don't know. Fear, perhaps?